Many people want to change the shape of their nose. Some want their nose smaller, or less flat, or to have a bump removed. Others are concerned with their nose matching the rest of their facial features. Some people have breathing difficulties or snoring problems. In these situations, rhinoplasty can help. At Rodeo Drive Plastic Surgery, our approach to rhinoplasty is unusual. We have a team made up of two surgeons with complementary training and backgrounds who do all our nose surgery together. This interdisciplinary approach provides you the benefit of a broad perspective and skills during your evaluation and treatment, with equal focuses on the cosmetic and functional aspects of your rhinoplasty. Paying attention only to aesthetics can lead to problems with breathing following surgery. Paying attention only to breath flow can compromise aesthetics. Our surgeons work to overcome these problems by using our different perspectives to focus simultaneously on both improving appearance and function. We call our approach The Rodeo Drive Breathe Easy Rhinoplasty™. As you consider nose surgery, you might find it beneficial to view rhinoplasty before and after photos of patients who have had the procedure using this innovative technique. At other times, a chin implant is performed as part of a rhinoplasty to create an overall more balanced facial appearance. 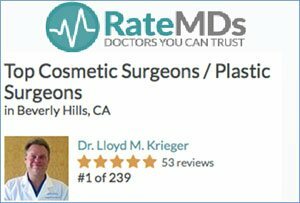 Dr. Lloyd Krieger is a plastic surgeon who focuses on creating an attractive nose during your rhinoplasty. Dr. Marc Kerner is a facial plastic surgeon/ otalayrngologist who of course also works to create an attractive nose but also focuses on function so that your breathing is not impaired, or, if necessary, is improved during your procedure. The Rodeo Drive Breathe Easy Rhinoplasty™ is beneficial for all nose surgeries, but is especially useful in complex situations such as ethnic rhinoplasty, revision rhinoplasty, and male rhinoplasty. Many of our patients tell us that after The Rodeo Drive Breathe Easy Rhinoplasty™ their nose is like a rosebud – it smells nicely and looks great. You should also be aware that health insurance does cover many aspects of functional or breathing-related nasal surgery. 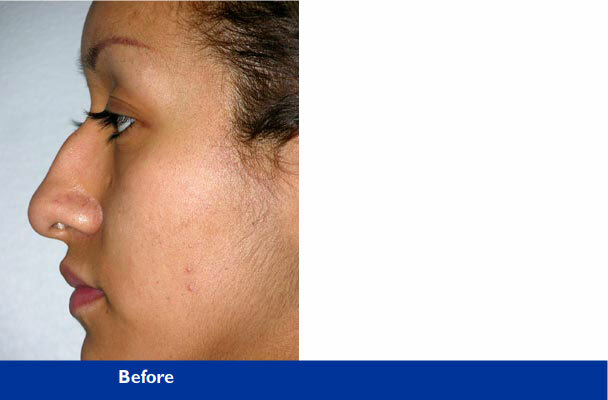 Our approach to rhinoplasty in Beverly Hills has been making news. 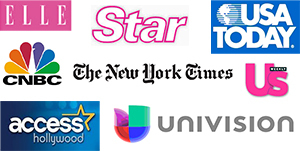 Recent media reports on our Beverly Hills plastic surgery center and rhinoplasty techniques have appeared on Access Hollywood, Inside Edition, The Los Angeles Times, Univision, Fortune Magazine, and Star Magazine. More information about rhinoplasty Beverly Hills click here.